Buckingham Palace has reached out to Windsor Public Library for information on our city. A comprehensive new history on Windsor Castle is scheduled for publication in 2016 and a chapter will include research and information on settlements around the world sharing the “Windsor” name. Plans call for the history to cover 11 centuries from the foundation of the castle in the 1070s to its current official and private use by Her Majesty the Queen. The book will be comprehensively illustrated and incorporate new research by 11 authors, including academics and others with knowledge to contribute. It is intended as an authoritative work for the scholarly as well as the general reader. “on the fame of Windsor”, research will be included on overseas settlements which share the name “Windsor”. 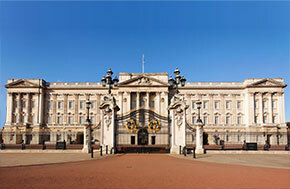 OUR SUBMISSION TO BUCKINGHAM PALACE FOLLOWS. Detroit, Michigan, located on the north shore of the Detroit River, was founded in 1701 by Antoine Laumet de La Mothe, Sieur de Cadillac. In 1749, French settlers began to build homes and farm on the south shore of the Detroit River. In 1796, British citizens were forced to leave Detroit, which was part of the young United States. Many of them settled in the small Canadian town of Sandwich, which was 3 kilometres down river from Detroit. However, the shortest crossing between the US and Canada was the hamlet of Windsor. At first, there was no real name for this area, and it was known by many names, including : The Ferry, the Ferry opposite Detroit, the Sandwich Ferry, the South Side, L’ Assomption Settlement, and Richmond. In 1835, a prominent citizen subdivided his farm and started to call this new subdivision South Detroit. This name did not sit well with the local residents. On Sept. 6, 1836, a community meeting was called in one of the local taverns to settle “once and for all” a name for the community. The two most popular names being debated were Richmond and South Detroit. There were no records kept of this historic meeting, but historians speculate that there was a tie vote between Richmond and South Detroit. Instead of breaking the tie vote, merchant James Dougall suggested the name Windsor because it reminded many people of “the old country” and thus Windsor got its name. James went on to become mayor of Windsor and Dougall Road was named in his honour. This delightful story comes from the book “Birth of a City” by Carl Morgan. It was published in 1991 to commemorate Windsor’s centennial.